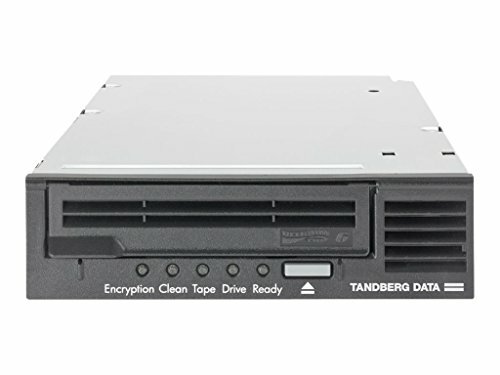 The Tandberg data's lto-6 half-height (hh) tape drive brings enterprise-level capacity and performance to small and medium businesses at an affordable price. The Tandberg data lto-6 hh drive is able to store up to 6.25 TB of data on a single and performance up to 1.4 TB per hour. The lto-6 hh tape drive is backward write compatible one generation and read compatible two generations. The lto-6 hh tape drive supports ltfs, worm and AES 256-bit hardware encryption providing maximum protection for data stored offsite or in transit. The Tandberg data lto-6 hh tape drive is offered with a SAS or fc interface and a choice of internal, external or Rackmount configurations. If you have any questions about this product by TANDBERG, contact us by completing and submitting the form below. If you are looking for a specif part number, please include it with your message.